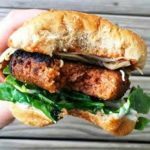 Which is healthier: Veggie Burger or Meat Burger? Hallelujah! Great tasting veggie burgers have finally arrived! If you’ve eaten a veggie burger in the past, then you know the options that existed were downright terrible. 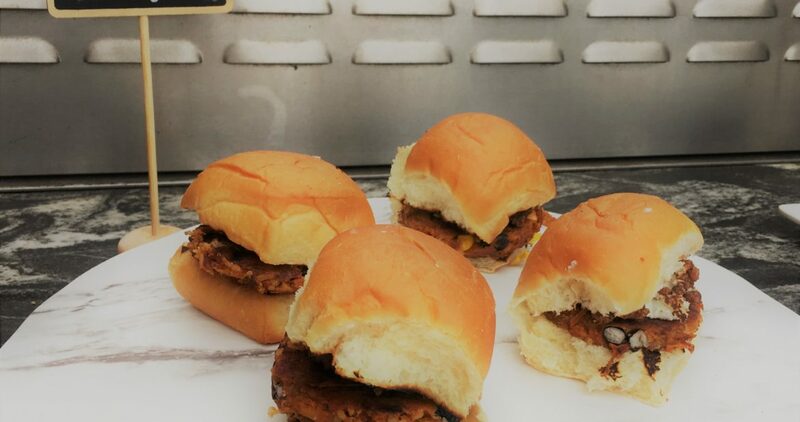 Unless you happened upon a rare (no pun intended) yummy, homemade version, they could all be pretty much summed up as thin, dry, mushy and lacking any texture, flavor or resemblance of a burger at all. It’s true. I tried a lot of them! I’m not being mean- which is why I’m not going to mention any names. 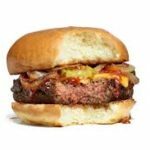 But now there are two new, very viable, options to hit the market recently that are changing the entire veggie burger game. In fact, a number of reviews have popped up that exclaim these veggie burgers are ‘too close to the real thing’! Totally mimics the look, taste and texture of real ground beef with a pink center thanks to heme (iron). Totally mimics the look, taste and texture of real ground beef with a pink center tha nks to heme (iron). The real problem with these ‘bleeding’ veggie burgers is the use of genetically modified soy protein. Looks like ground beef. In fact, after cooking it- it’s still pink in the center thanks to a beet extract. The truth is that this isn’t new news. If you look at ingredients in veggie burgers that have been on the market for years you’ll find much the same stuff: textured protein (soy concentrate + wheat gluten), corn syrup solids, canola oil, dextrose, MSG, caramel coloring, etc. They have always been a highly processed food. Processed foods are lacking in nutrients, are made from cheap ingredients that become Frankenfoods and become nothing more then highly absorbable carbohydrates that ultimately our hormone, digestive, cognitive and endocrine systems. However, sometimes they can offer a few nutrients that other foods don’t or serve other purposes like reducing food waste or, in this case, reduce beef consumption. I once got into a disagreement with a doctor friend over whether vegetarians are ‘healthy’. The doctor was adamant that NO healthy vegetarian ever existed. While I agree that it’s super easy to be an ‘unhealthy’ vegetarian or vegan, Cheetos are vegan after all (yikes! ), there is a growing population of super healthy non-meat eaters. Not to mention the tons of new research on the healthiness of eating plant-based. However, the bottom line for any eater is that our food intake needs to involve LESS processed foods and more foods that are closer to their original source (think carrot or apple vs Doritos). Can you eat one of these new (or old, for that matter) veggie burgers once in a while and enjoy it? YES, absolutely. Should you eat it every day, or even every week? No, probably not. But ideally you shouldn’t be eating red meat that often either. Everything in moderation. And when you do eat ANY kind of burger, be sure to top it with extra veggies and add side salad to boot.